Los Angeles-based Nativo has raised $3.5M in Series A from Greycroft Partners. The company has also changed its name from PostRelease in order to cash in on the benefits of the “Native Advertising” buzzword. Nativo is an ad network that, rather than selling banner ad units, sells in-stream placements where the ad is a post, similar to Twitter ads. When we spend time with ad industry folks they tend to be fairly cynical of Native Advertising, even though many of them do it and tout the buzzword. They are cynical because there is nothing new here. This is advertorial and sites have been doing that for years. 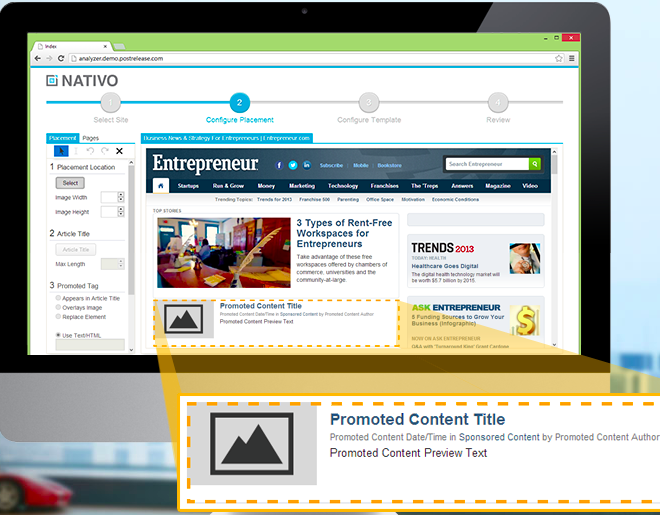 Nativo touts that their ads don’t interupt the visitors, but is that really the case? What is more interrupting than an ad that is posing as content. We understand why people are hungry for new ads to take the place of banner ads and we think that is what is fueling the buzz. This is not to say that Nativo and others in this space won’t do well. We think they will. Banner CTRs don’t work for advertisers and its hard to see in-stream advertising being sold in exchanges or real time bidding any time soon, so interestested advertisers will need to work through a network like Nativo.